Searching for the Best Place to Open an IRA? Here’s What to Look For. So you finally reached a point in your life where you know you need to start saving for retirement. The only problem is you’re not sure where to begin. Stocks, IRAs, mutual funds — you feel like you don’t even know what you don’t know. Many people, especially young investors, believe if they haven’t “made it big,” so to speak, they don’t meet the minimum requirements to get started. But in reality, you can start investing with as little as $5. Individual retirement accounts (IRAs) are a great tool for both beginner and advanced investors. And the good news — most don’t require a minimum investment to get started! But given the complicated rules and regulations involved, it can be tricky to know where to begin and to find the best place to open an IRA for you. We’re constantly searching for ways to simplify personal finance — from finding the right life insurance policy to budgeting to saving for retirement. With that mission in mind, we broke down the process of opening an IRA into four easy-to-digest questions. 1. Do you want a managed or self-directed IRA? The first question to ask yourself when deciding on the best place to open an IRA is whether you want a managed account or a self-directed one. A self-directed IRA allows you to choose where to invest your money and how to allocate it amongst various investment categories, versus having someone else do it for you. Self-directed IRAs also come with alternative investment options, such as real estate, precious metals, private mortgages, and others. Managed IRAs, like the ones available through GuidedChoice, are overseen by investment professionals who can create a strategy tailored to your personal situation. They can help you decide which type of IRA is best for you, how much to contribute, and where to invest. Deciding which of these IRA types is the best fit for your situation depends on your level of comfort and knowledge of investing. 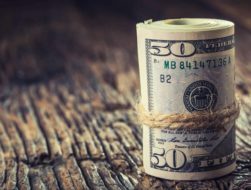 If you enjoy doing your own trading, are confident in your investment planning, and can withstand the temptation to pull out when the market hits its inevitable lows, then you may prefer a self-directed IRA. For most people, that’s probably not the case. If you lead a busy life or just don’t like to deal with the minutiae of investing and making trades, then a managed account with a trusted and professional company like GuidedChoice may be your best option. Next up is the all-important question: how much is it going to cost you, both to get started and to maintain your account? There are a few things to look at regarding costs when searching for the best place to open an IRA. First, pay close attention to each company’s fee structure and be sure to ask how they are compensated. It’s important to know whether or not they are paid on commission. If that’s the case, the products they sell may not be the best fit for your situation, and they aren’t required to tell you otherwise. The ideal investment management company is one held to a fiduciary standard. GuidedChoice explains the importance of this on their website; fiduciaries are “independent and free of conflicts,” and always act with your best interest in mind. Aside from acting as a fiduciary, transparency is another key attribute of a good investment manager. Are their fees clear and easy to understand, or are there additional costs hidden between the lines? GuidedChoice provides a free and simple calculator anyone can use to determine their fees on their account balance. The calculation is simple: a maximum of $6.30 for every $1,000 in your account, plus $50 for accounts with less than $50,000. No additional costs, no hidden fees. What you see is what you get. With a managed IRA, you may not be making hands-on trades. However, you still want to be in the loop with your retirement savings. So the next question to ask is can you easily access and view your account? Many platforms allow you to create an account and track your portfolio performance online, but that’s not always enough. To ensure as frustration-free an experience as possible, look for an advisor with a well-developed system that’s intuitive and easy to use. Ask if you can schedule a demo session or free consultation to get a better look at the key features and online support. GuidedChoice offers this in the form of free concierge service. During this initial call, a professional member of their team guides you through the options to determine what type of IRA is best for you and give you a rundown of how things work. But they don’t stop there. You’re bound to have questions along the way, and when you do, a GuidedChoice team member is available via phone or email. 4. Are they competent and trustworthy? Measuring the overall competence of an investment management company can be difficult. Do your research on the tools used to manage your portfolio, as well as the people behind the computers. For example, the proprietary technology used by GuidedChoice was invented by Dr. Harry Markowitz, company co-founder and recipient of the Nobel Memorial Prize in Economics Science. Their Investment Leadership Team includes widely renowned leaders in the fields of investing and economics. Lastly, don’t forget to ask the hard-hitting questions like “What happens if my situation changes?” Things will almost certainly pop up along the way and throw your plan off course. GuidedChoice knows this, which is why they provide you with a Projected Wealth Calculator where you can make small adjustments and see how they affect your overall savings plan. They also employ digital intelligence that automatically rebalances your portfolio. Tools like these keep you on track towards achieving your goals. 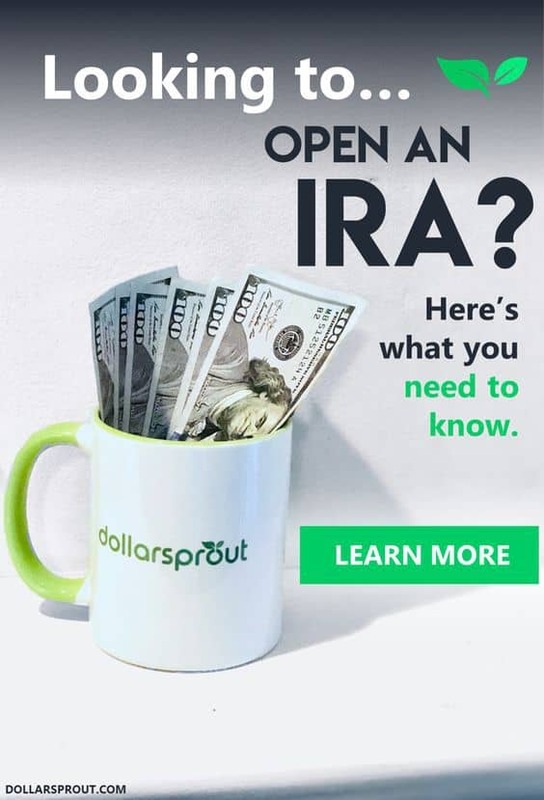 So where’s the best place to open an IRA? For new or hands-off investors, we think GuidedChoice is a great option. They check off all our boxes, from their fiduciary standard and transparent fees to excellent customer support and inventive technologies. Creating an account is quick and easy, and there’s always someone there to answer your questions. But just like everything related to personal finance — it’s personal. 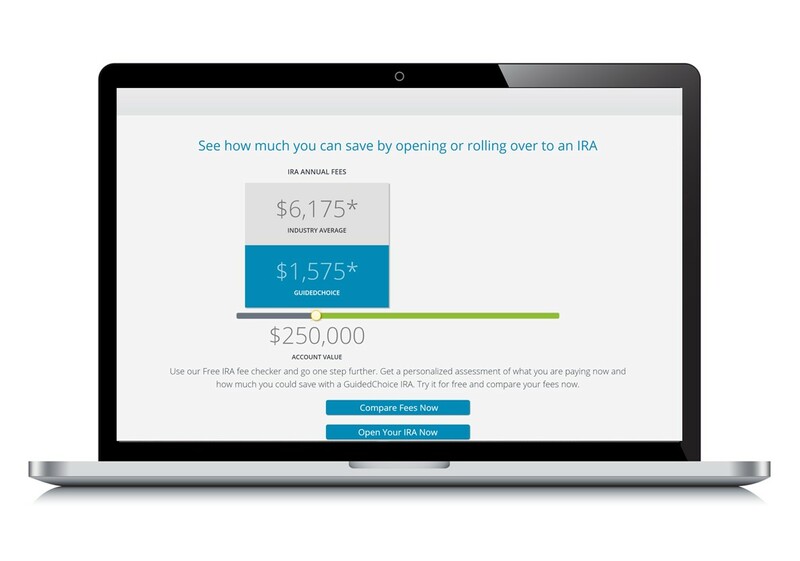 The best place to open an IRA depends on your situation. Ask yourself these four questions and you’ll be well on your way to finding the best IRA for you.